Past Governmental Experience: Between 1986 and 1989, Mr. Hanson served as Assistant Regional Counsel for the U.S. Customs Service, now U.S. Customs and Border Protection. As in-house counsel for Customs, Mr. Hanson provided legal advice to Customs personnel including Port Directors and other Customs officials, Import Specialists, Inspectors, Special Agents, and FP&F Officers. Mr. Hanson was involved in the handling of civil and criminal investigations, audits, and other administrative actions and was cross-designated as a Special Assistant U.S. Attorney representing Customs in U.S. Federal District Court. Finally, Mr. Hanson conducted internal training programs for Customs personnel including the Customs Law Course at the Federal Law Enforcement Training Center in Glynco, Georgia. Private Practice: Since going into private practice in 1989, Mr. Hanson has worked with three of the nation’s prominent law firms specializing in international trade and import and export regulations. For each of these law firms, Mr. Hanson was the attorney in residence in charge of their Houston, Texas office until he opened his own practice, The Law Office of Lawrence W. Hanson, P.C., in 2001. Mr. Hanson assists clients in the handling of penalty and liquidated damage claims, the detention, seizure and forfeiture of merchandise and audits, civil and criminal investigations, and similar actions taken by Customs and other governmental agencies that regulate imports and exports. Mr. Hanson also assists in licensing, permit and registration requirements before various governmental agencies including BIS, OFAC, DDTC, and others. Mr. Hanson conducts privileged internal compliance reviews for importers, exporters, and other international trade participants. He offers his experience and judgment toward the development of international trade related compliance programs designed to prevent unwanted entanglements with the governmental agencies that regulate international trade. Mr. Hanson is licensed to practice law in the States of Illinois and Texas. He is admitted to practice in the Southern District of Texas, the Northern District of Illinois, the Court of International Trade in New York, the Fifth and Seventh Circuit Courts of Appeals as well as before the Court of Appeals for the Federal Circuit. He has practiced and conducted administrative hearings before various federal agencies that regulate international trade including the Food and Drug Administration, Department of Agriculture, Drug Enforcement Administration, U.S. State Department, Treasury Department Office of Foreign Assets Control, Department of Commerce, the Bureau of Industry and Security, Department of the Interior, Fish and Wildlife Service, Environmental Protection Agency, and the Federal Trade Commission. Faculty Position: Since 1993, Mr. Hanson has been a member of the faculty at the University of Houston Law Center where he teaches law school courses in U.S. Import Regulation in the fall and U.S. Export Controls in the spring. Students in his courses have gone on to positions in government, private practice, and corporations. Mr. Hanson has also lectured on international trade legal issues at the Rice University Graduate School of Business, the South Texas College of Law, the University of Texas Law School, and various other colleges and universities. Additional Teaching Experience: Mr. Hanson has taught in the area of international trade law, import export regulations and related law enforcement issues since serving as an attorney with Customs in 1986. In addition, he taught with governmental organizations, academic institutions, in public seminars throughout the U.S., and privately for corporate and trade organizations for almost 30 years. Leadership: Mr. Hanson served as the head of the Customs and International Trade Section of the State Bar of Texas and as the Secretary/Treasurer, Vice Chair, and Chair of the International Law Section. In 2002, Mr. Hanson founded the Center for Global Trade Education and Compliance which provides public and in-house training on import and export regulatory issues. In 2005, Mr. Hanson was appointed to the Greater Houston Partnership International Business Issues Committee which examines and provides advice on international trade developments and their impact on the business community. In 2006, Mr. Hanson was appointed U.S. Chair of the U.S.-Mexico Bar Association Customs Committee which examines Customs and trade issues between Mexico and the United States. 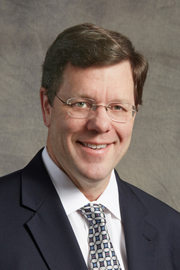 In 2010, Mr. Hanson was elected chair of the U.S.-Mexico Bar Association for a two year term. He is currently a member of various American Bar Association working committees that relate to Customs, import and export regulation, and international trade. Mr. Hanson served as U.S. Counsel to the International Compliance Professionals Association (ICPA) for a total of three years and remains active in his support of the organization. Community Participation: Mr. Hanson is involved in numerous law related organizations including the American Bar Association-International Law Section, the Court of International Trade Bar Association, and the Court of Appeals for the Federal Circuit Bar Association. He is also an active participant in other professional organizations including International Compliance Professionals Association, the American Institute of International Steel, American Association of Exporters and Importers, the American Petroleum Institute, and the National Customhouse Brokers and Freight Forwarders Association. Mr. Hanson also created and serves as the Director of Global Trade Regulatory Review, a nationwide grassroots organization designed to improve the administration of international trade regulations.